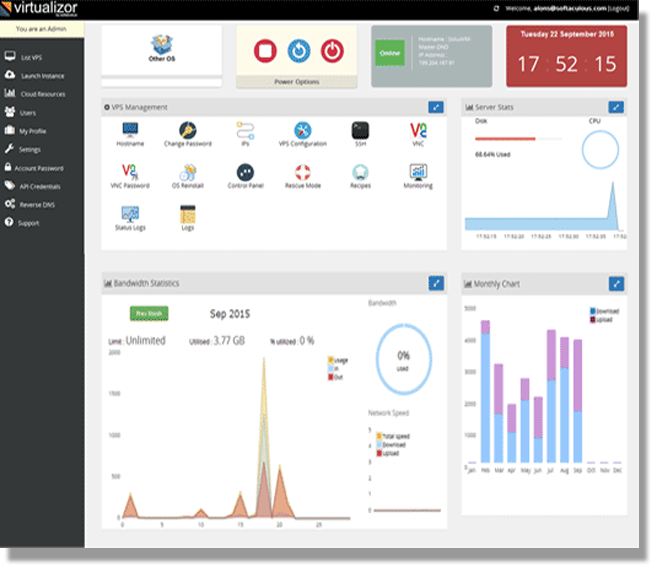 Virtualizor is a powerful web based VPS Control Panel. 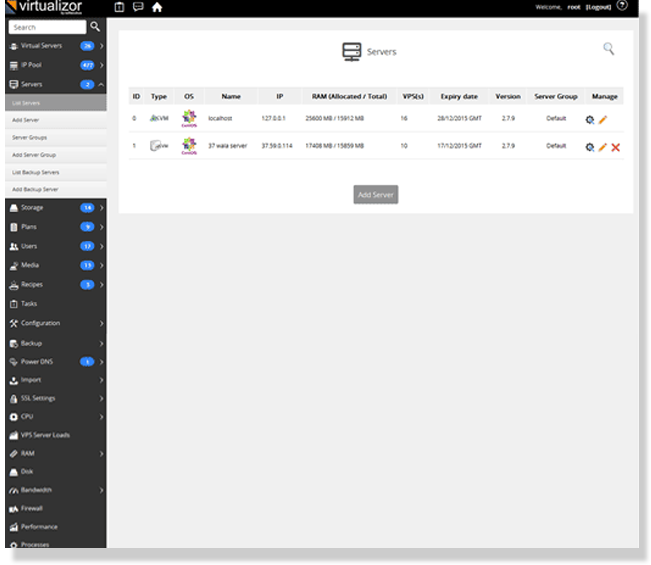 It supports OpenVZ, Xen PV, Xen HVM, XenServer, Linux KVM, LXC, OpenVZ 7 virtualization. their VPS using a very advanced web based GUI. 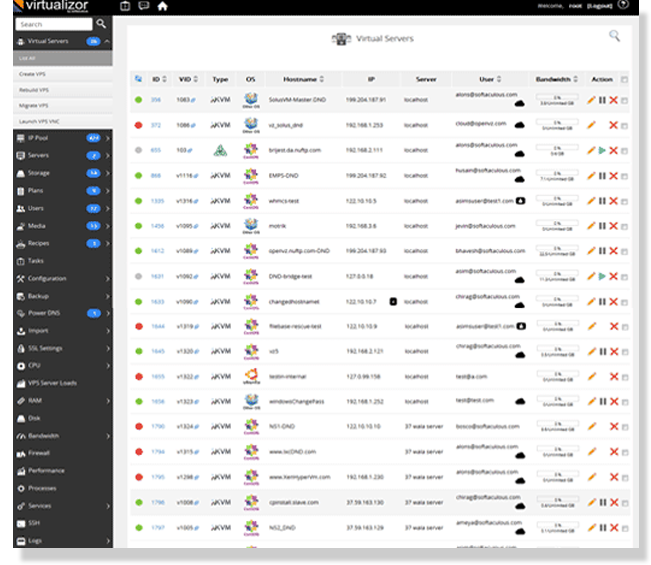 Users and Admins can see various sorts of Graphs to better manage their resources. 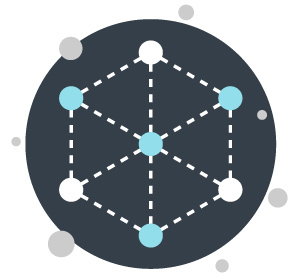 Hundreds of Nodes can be managed from one Master Server with Virtualizor. You can easily add or remove a Node in your Virtualizor Cluster. You can create, delete, start, stop, restart Virtual Machines from the master node. 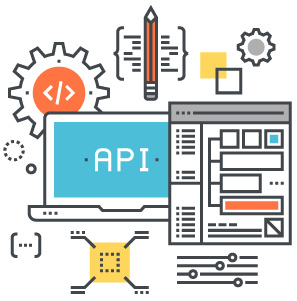 Virtualizor supports various API calls in JSON, XML and PHP serialize format. You can use our API to integrate into different billing systems. 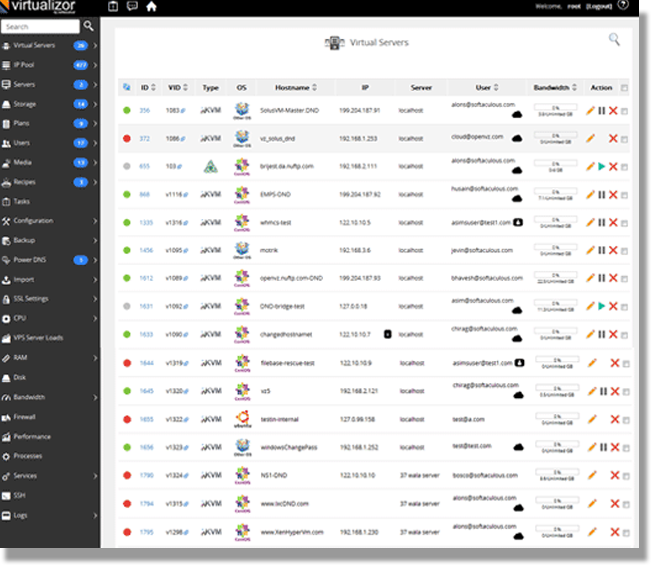 Every action in Virtualizor has an API call and you can manage anything in Virtualizor using these API calls. Virtualizor has OS templates that you can download and use by the click of a button ! With Virtualizor you don't need to hunt for templates. We keep adding new OS templates of various linux distros like CentOS, Fedora, Debian, Ubuntu, openSUSE. These templates are available for all Virtualization types i.e. OpenVZ, Xen, XenServer, KVM, LXC and OpenVZ 7.